The account of this little Norwegian boy continues to spread worldwide. Caspian’s mother Nadia is focused on the welfare of her son and is very concerned about several things. Nadia has had very little visitation with Caspian. She fears that her own son will not recognize her the next time he sees her. This happened the last time there was visitation, now days ago, before Caspian had been moved as far away as Bergen. The Wings of the Wind has not been able to verify this but it is thought that Norway’s CPS has moved the child there because Nadia has an address listed there. The WOW has learned of two major legal events that will occur this week. Today, Nadia and Caspian are scheduled to receive a change of address from a location that is seven hours away, to a closer address in Brandel. This new address is much closer to the CPS office where Caspian was first taken after his abduction on Monday, the 13th of June. This publication will be watching this development closely as the new residence is much closer than Bergen. Barnevernet’s stated intention is to help children. Will the CPS move Caspian back to Volda where he is much closer to his mother? The Council Court is scheduled to be held in Fylkesnemnda this Thursday, the 23rd of June. The Wings of the Wind has learned of another concern. Nadia was planning to have Caspian baptized. Family and friends were to be invited, and after a ceremony in church, a celebration was to be held in the home of Margaret Hennum. Margaret is the nurse who has been helping Nadia adjust to normal living after spending five months in a Mothers’ Home. The incident that happened at the Hennum home last Monday changed those plans. 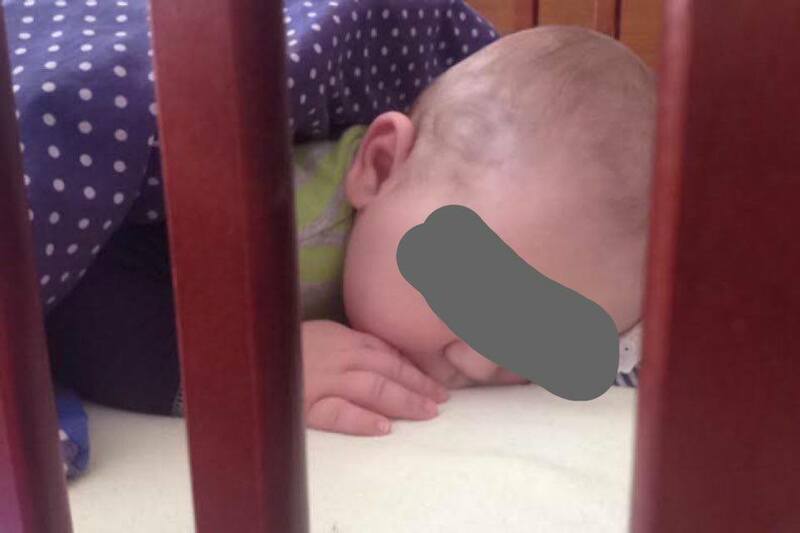 The incident was reported in some detail in NORWAY’S CPS KIDNAPS CHILD…TODAY!!!!! As infant baptism is important to many in Norway, a question has been asked by many inside and outside of the country, “Will the country bearing the Cross on its flag allow a mother to baptize her child?” The WOW finds this to be a very good question because of statements made in this case. As this publication is not aware of any public comment made on this subject by Barnevernet officials; Ms. Solveig Horne, Norway’s Minister of Children and Equality; or Ms. Erna Solberg, Norway’s Prime Minister, another important question emerges. Norway is considered a democracy. In a democracy people are allowed to voice disapproval with most things, including issues within a government. It appears that Ms. Erna Solberg reads her Facebook page in spite of the criticism that she sometimes receives. This is the way a democracy works. No one is above the law and citizens have a vote to help determine that law. Why is Ms. Hennum not allowed to write a public opinion on any social media? “In 1814, Norway was given a unique opportunity to write its own Constitution, and to take the first steps towards independence. The Norwegian Constitution is the oldest in Europe, and the second oldest in the world, that is still in use. Does a democracy treat its citizens in this manner? Brynhild Solvang, is the head of the CPS office that was responsible for taking Caspian away from his biological mother. This publication is not aware of any statement made by the responsible CPS office regarding this incident. As each day passes, possible damage is being done to Caspian. This publication hopes that something can be done soon to correct the situation. This entry was posted on Monday, June 20th, 2016 at 2:45 AM and is filed under Commentary, News, theology. You can follow any responses to this entry through the RSS 2.0 feed. You can leave a response, or trackback from your own site. That’s great, rodi. I will try to be as up to date as possible and will not let much time pass in between posts. Let’s pray that Caspian is returned to Nadia soon and that these updates are few. I am the kind of person that doesn’t like religion. In the sense that it can be so legalistic, ritualistic and traditional. But I never ever underestimate God’s word and what practices He DID put in place. In my faith, a newborn baby should be brought into church a couple of months after birth to be blessed. It is known as a dedication. The whole essence of the practice is to bless the baby, it’s path, it’s life, to be a light and find his/her purpose. It is therefore not fair to the child to deny him something his mother chose for him. After all, isn’t Caspian reliant on his mother for survival until such time he grows up? This is another form of abuse of power by Barnevernet in not only stripping away Nadia’s rights, but also that of Caspian. Thank you for commenting on the Wings of the Wind, Cristina. You have made an important contribution here. I grew up in a church where I was baptized as an infant. Later in life, I decided that I wanted it known with my own mouth that Jesus Christ was the one I was trusting in for life in this world and was looking forward to the next. I, as an adult, decided to get baptized. It was at a lake and a kind man and good pastor, a man younger than myself, immersed me into the water. I came up, not any more saved for being baptized, but I believe that I was being obedient to the Word of God. I remember it as if it was yesterday. I was allowed to give a brief message before my adult baptism. My message confirmed my trust in Jesus alone as my Savior. Your comment not only brought up many memories, Cristina, it has brought up a form of control made by a governmental entity that seems to think that its word is higher than religious beliefs. I am just like you when it comes to the word “religion,” Cristina. The definition of the term usually comes with Godly implications and, yet, a person can also be “religious” about brushing his teeth, or abusing his/her child. Caspian was not abused in any way by Nadia or Margaret Hennum and family. He received the love that only a mother can give. The mother was supported, for a month, by the wonderful Hennum family. This was before the 5 police officers and BV personnel went into the Hennum home, I think without any paperwork or good reason, and removed a sleeping child from its crib. This is a sad story thus far. A child is now without its loving mother for no good reason. A child has been taken by an organization that has one of the worst records in the world today when it comes to numbers of children taken per 100. Between five and six children are taken from their mothers in similar fashion every day if numbers I’ve seen are correct. This account has been played over and over again in the past several decades in a country that most people think is a very advanced society. It is quite amazing how the buzz of the T.V., the cellphone, the radio, the news, the political picture, along with the responsibilities that we have to take care of our own, can sometimes drown out a story like Caspian’s. For those who read about it and hear it and pause a moment for reflection, there is a human and spiritual reaction to such a thing as a child being taken from its mother by an organization given power by a government particularly when there is no apparent reason for it. Thank you for your thoughts, Cristina. I have been to more than one dedication and they are a wonderful statement by the parents that they will see that the child is raised with a blessing, wishing the child a long and good life. Thank you for your kind words, Cristina. Please come back and comment anytime. Thank you for the re-blog, Valeria! It is shocking that Caspian is snatched away from his mother because of me critizising barnevernet! This is not an assumption, this is what Barnevernet claim themselves! I am not related to Nadia and Caspian. But my family gave them shelter after they left the Mothers home, for 5 weeks. Barnevernet are furious about me helping them, a help that led to cancellation of their plan to take Caspian. That must be punished. And they punish baby Caspian for lifetime. A true democracy does not treat its citizens in this manner. And definitely their babies! Your family was very kind to help Nadia and Caspian in this way. You must be very frustrated at this point, Margaret. This is a crime of the highest order. How can they take a baby for this reason? I hope Caspian is returned. If not, there is no democracy at Norway’s Barnevernet. Events like this have happened too many times. They would have taken him anyway, Margaret, as soon as they found him. What they SAY has no particular relationship to what they do and why they do it. So it’s in no way related to you expressing criticism. That is just used as a handy argument for them to pile on everything else they try to find and use.